Instead of finding common ground with Russia, the West continues to escalate tensions with inefficient sanctions and rhetoric while provocatively supporting the illegitimate Kiev government, German Left opposition leader Gregor Gysi told RT. 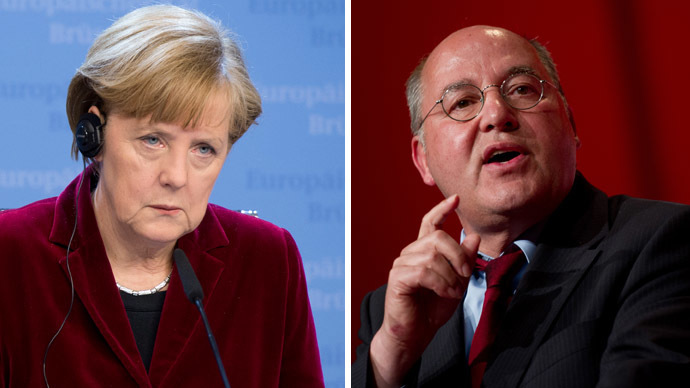 Gysi, a parliamentary head of the largest lower-house opposition party in Germany – The Left – has recently spoken out against German Chancellor Merkel's support of the coup-appointed Ukrainian government. RT caught up with Gysi to further discuss his opinion on the volatile Ukraine crisis. 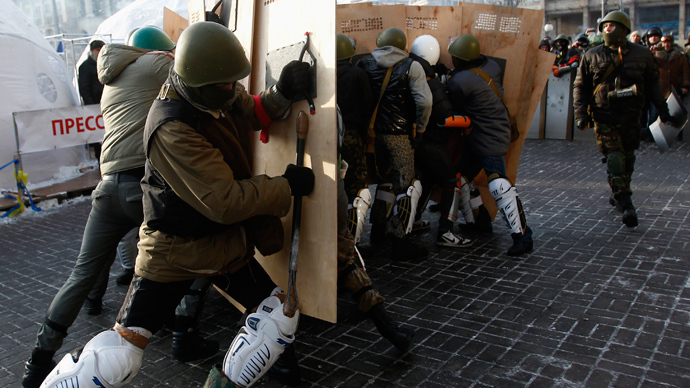 RT:How do you assess the situation in Ukraine? 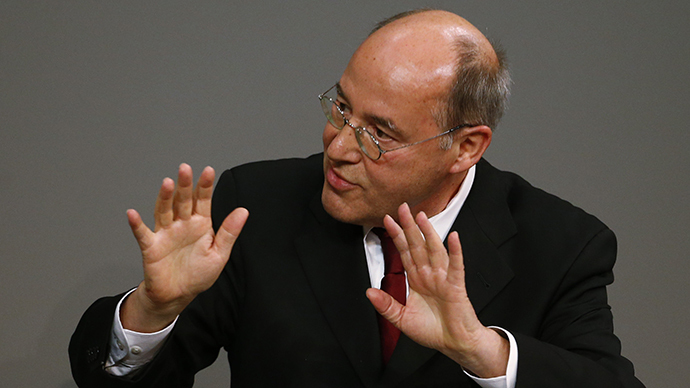 Gregor Gysi: We have a very strained situation, but I am not considering it hopeless. Of course I have a criticism towards Putin's politics when he tries to rebuild influence with an old thinking, but I also have very much criticism towards NATO and the EU. They have not realized back in 1990 that they should create a new security organization, with no Warsaw pact and no NATO. Not without Russia, nor against Russia, but with Russia – a common security alliance. And against promises that were given during the time of German reunification, the further expansion of NATO towards the east took place so that Russia slowly would become encircled. Then there were missiles stationed in Poland and Czech Republic...the Russian side has said that it reduces its security, but the Western side was not interested in hearing that. Then, they said that those missiles are not targeting Russia. 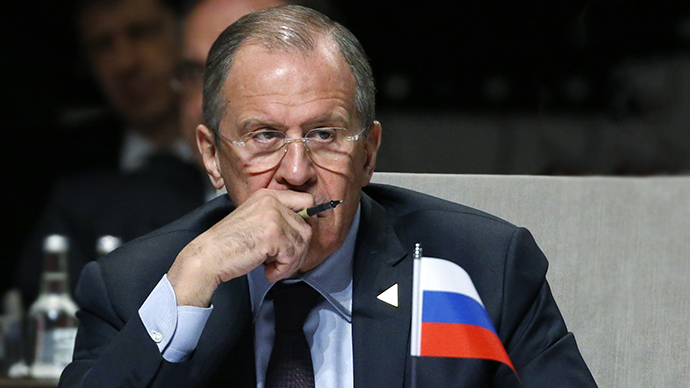 That's when the Russian foreign minister said to his US counterpart: 'If we install rockets in Mexico, would you trust us if we say it's against Colombia or Cuba, and has nothing to do with the USA?' Of course they would not believe in that, but in spite of that it [missiles installation in Europe] has happened. Then there were other mistakes. I don't want to go into too many details. George W. Bush has suggested to bring Georgia and Ukraine into NATO. Naturally it was a provocation, even the former American minister of defense said that. And then it came to the issue of Ukraine, where it came to tensions between two sides – Russia and the EU – when they said: ‘Either you enter into the alliance with us or with the other.’ And nobody has realized that Ukraine should have been a bridge between the EU and Russia, and that is bothering me. I think, as Russia pointed it out, that sanctions against it are wrong. And I find it wrong alone that they say: 'We need to bring NATO all the way to the borders.’ I see it the other way around...I would go for a diplomatic way to engage Russia and propose to them a new relationship with the EU and NATO, to find a security concept with Russia, not against it or without it. I would expand trade relations, under one condition: that there would be no more countries or parts of them that would be turned into a Russian territory. I think that would have been my vision of a positive development that we all urgently need. But as you can see, the situation is the other way around. RT:Are you concerned about far-right radicalism in the Ukrainian government? Gregor Gysi: Yes, there are real fascists in the government. They are currently in leading positions. They have the vice-prime minister position, defense minister, and minister of agriculture and environment minister positions. 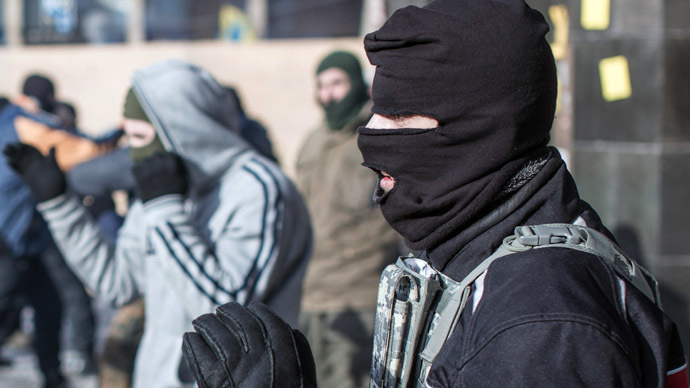 Besides that, there is the co-founder of Svoboda party, who is not a member of this party right now, but he is in charge of the security committee, some sort of intelligence service. There are terrible quotes, awful quotes from them, and I am not alone standing here. There are members of Social Democrats and a former EU commissioner who said they won't speak a word with those people. Right now you have to demand a democratic election, then you have a democratic government, and then you can negotiate with them. I don't understand why it has to happen now? I see it as another step towards escalation instead of opposite direction. And I have to say that the government that is installed right now is not a legitimate one. The former president was removed from power but not properly voted out, at least not according to the constitution. And then when I hear that the Crimean referendum is illegitimate according the constitution, then I ask my government: ‘Well, is the constitution valid or not?’ But I am not getting any answers.